Saloon : The Light color saloon with 360° panoramic view is in two parts : one for dinner and one for lounge with Apple TV and a central music BOSE. Master Cabin : The main cabin is equipped with a king size bed, a desk and a SONY TV LEGRAND. The bathroom is very great with a shower, a bath and a separate toilet. 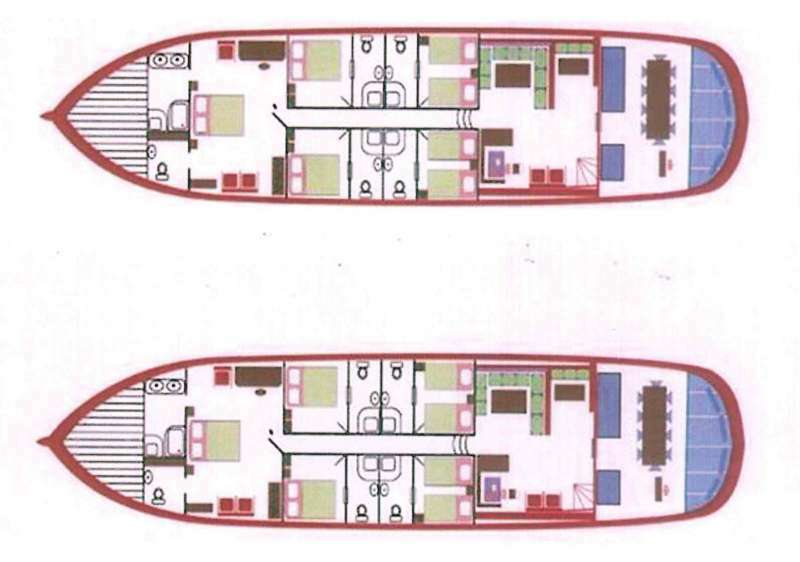 VIP Cabins :Two VIP double cabins on portside and starboard side with bathroom, shower and toilet; TV and air cond. Two Guest twin berths cabins port and starboard side with bathroom, shower and toilet, TVand air cond. 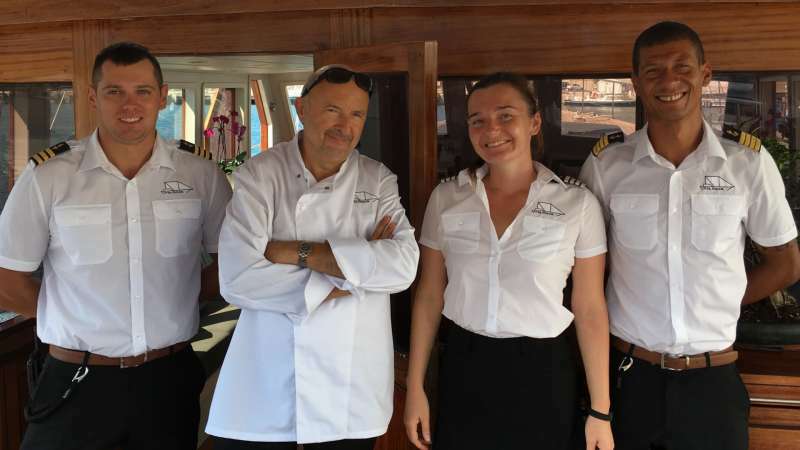 An enthusiastic professional and very a hardworking individual who strives to achieve the best in all tasks, with more than 7 years’ experience as a boats craftsman added to his previous positions on charter yachts with his love for sports and the water he is perfect to complete the team on Vita Dolce.